And you're diagnosing that based upon a blurry picture of a box? No, they're not Turtles. And I can't tell you what "sets them apart", because I'm not a goddamned chocolatier, and I haven't had any since I was a kid. They're tasty. Way tastier than Turtles, which I don't really care for. They don't taste like Turtles, they don't look like Turtles, and they don't have the same texture or consistency as Turtles. What they have in common with Turtles is that they are chocolates, and they have nuts. I feel like that covers quite a lot of chocolates. This is just like when people call Smarties "basically M&Ms". Gets my blood to boilin' every time. I seem to recall that Smarties are something completely different in Canada. American Smarties are similar to SweeTARTS. They really don't. They're more flat, that's about it. Now, granted, Smarties don't come with peanut-based fillings, so that's a difference. The candy shells are totally different - Smarties very much WILL melt, or at least lose their shell colour, in your hand on a hot day. And the chocolate's a lot cheaper. Emma is wise beyond her years. Certainly wise compared to certain Octopus men who are now dead to me. I think she likes them specifically because they melt faster. Of course, she is now attempting to transition the economy to one using Smarties as a method of barter payment, as I'm pretty sure she tried to tip the waitress at lunch on Saturday with a couple greens. Hey man, M&Ms don't recommend the order of the colors I ingest them in! That is way too much pressure for someone who just wants a handful of candies! They don't say you HAVE to eat the red ones last, they just ask you if you do. You do, right? All the cool kids do. I've looked into this before, but none of the recipes that I've found online sound/look correct to me! I think many of them are based on the latter Nutchos re-launch? 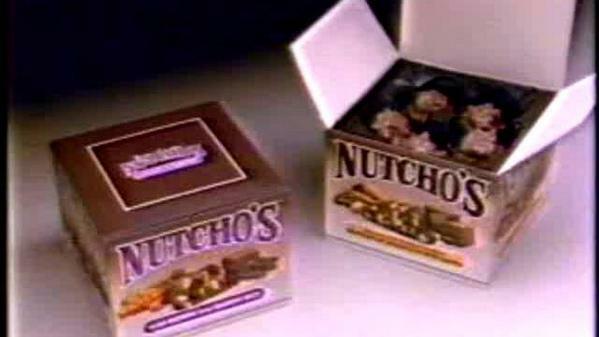 As to that one in particular, it has both peanuts and peanut butter, but I don't think original Nutchos had either? If they did, it certainly wasn't much, because I've always hated peanut butter, and have only recently broadened my palette enough to find peanuts "pretty okay". For what it's worth, I did look at better reference and descriptions​, and they seem like turtles/nut clusters. Granted, it's no substitute for actually trying one. Doubtful. I have been entirely unable to find a proper reference to the original Nutcho's outside of that one photo, and I've tried. They're all of the re-launch, which, as I have said, was something entirely different. Smarties' shells are too tough, and there's something off about the taste of the chocolate. Wow, that's what I was gonna say. But yeah, they really do feel like a cheap knockoff of M&Ms. Anyone who bought Smarties in the US probably had UK Smarties, not Canadian Smarties, which are again different. Especially if they were in a tube. they really do feel like a cheap knockoff of M&Ms. No, no, I'm not doing this again. Deep breaths. Walk away from the thread, JBear. Have we never had a thread like this before? I could swear that I had already talked about how much I pine for the return of Ben and Jerry's Oatmeal Cookie Chunk ice cream. I miss it so much. And apparently I'm not the only one who does! They claim that it's a supply issue that caused the flavor's demise, but it can't be that hard to find a decent oatmeal cookie, right? Re: Smarties vs M&Ms, they absolutely do not taste the same. I like them both, although peanut M&Ms are better than any kind of Smartie I've ever eaten. 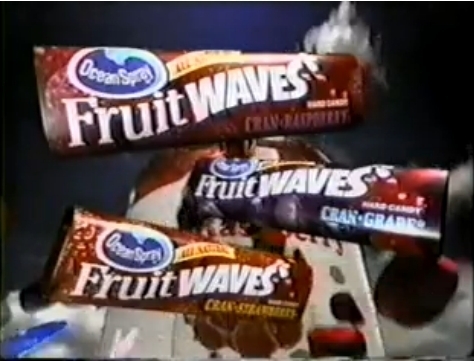 As for American Smarties, those are called Rockets in Canada. LOL Well, if this was in a different thread my mind could have been blown at this revelation, but I guess I can't let that happen in this one can I? This is the thing I miss. The thing I remember most vividly about that cereal is how all my dad's coworkers started using 'crispy critters' to refer to what was left of people after being hit with napalm/white phosphorus. ...gonna say I like my memory a bit better. Wow, it's like eating Jimmy Durante! To a five-year-old it was the very height of comedy. Whether you like Canadian Smarties or M&Ms better will depend entirely on whether you prefer your chocolate darker (M&Ms) or milkier (Smarties). I hate dark chocolate, so my choice is clear.